A few miles outside 'Akká stands a beautiful mansion surrounded by magnificent landscaped gardens. Next to it at the centre of converging avenues bordered by beautiful flowers, shrubs and trees in that same garden, stands a small building, the Shrine of Bahá'u'lláh. There His earthly remains are laid to rest, and for the Bahá'ís it is the holiest spot on earth. Today Bahá'í pilgrims from all over the world come to pray at the Shrine of Bahá'u'lláh and visit the Mansion. Bahá'u'lláh moved to this Mansion in September 1879 and lived there almost thirteen years till 1892, the end of His life. But there were no formal gardens in His time; these were created after His ascension. Nevertheless, the Mansion was built in the countryside close to some beautiful pine trees away from the forbidding city of 'Akká with its narrow gloomy streets and its depressing atmosphere. 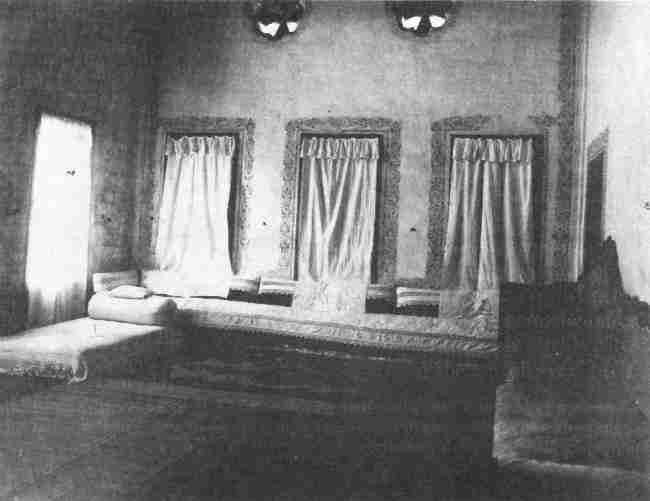 'Údí Khammár, in whose house Bahá'u'lláh resided for several years in 'Akká, built the Mansion for himself and his family. 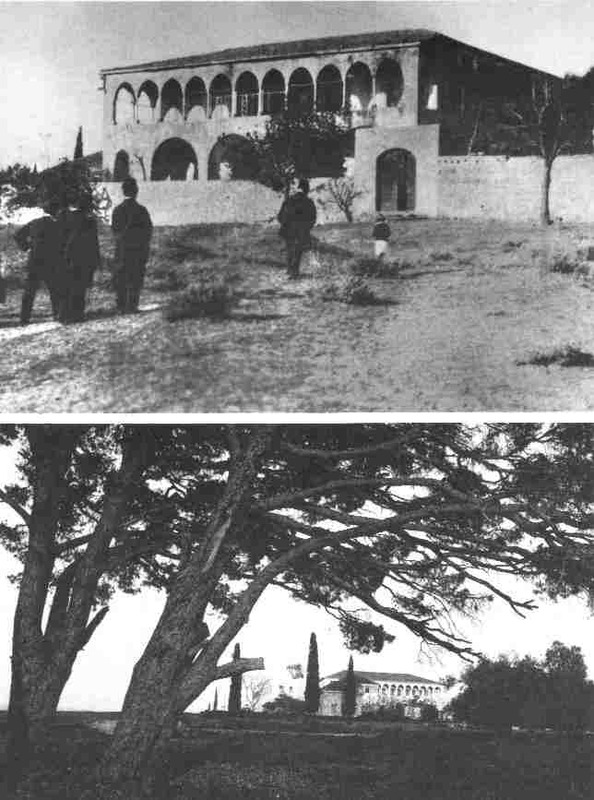 The appellation Bahjí (Delight) is truly appropriate for this Mansion when one considers the beauty of the open fields around it, the charm of the building itself and the pleasing sight of the pine trees close by, some of which still stand in the grounds. Greetings and salutations rest upon this mansion which increaseth in splendour through the passage of time. Manifold wonders and marvels are found therein, and pens are baffled in attempting to describe them. In one of His Tablets2 Bahá'u'lláh describes the Mansion as the scene of His transcendent glory and asserts that it was specially built to serve as the Seat of God in His Day. He refers to its builder, 'Údí Khammár, stating that during his life he had no idea for whom he was building it. He bestows the bounties of God upon his soul through His loving-kindness. He rebukes His enemies, who through their waywardness and ignorance had condemned Him to life imprisonment in the Most Great Prison. However, as a sign of His sovereignty and power He has transformed the prison into a lofty Mansion. He further states that he who was the ruler (i.e. Sultán 'Abdu'l-'Azíz) had returned to the fire of hell, while the builder of the Mansion was taken under the canopy of God's mercy and favours. used to go to 'Akká from time to time and stay there for various lengths of time. Núru'd-Dín-i-Zayn, the son of one of the Apostles of Bahá'u'lláh, Zaynu'l-Muqarrabín, has left to posterity the following account of Bahá'u'lláh's movements in 'Akká and its surrounding areas. In a Tablet4 Bahá'u'lláh declares that through the power of His sovereignty, He left the prison-city in spite of the Sultán's decree. His footsteps ennobled the Mansion and the Garden of Ridván. But because He had been accustomed to life in the prison-city, He chose to return there from time to time. In several of His Tablets Bahá'u'lláh indicates that through the years He had become attached to calamities and sufferings. In one instance5 He declares that He was as fond of sufferings as a lover is of his beloved. In another6 He states that He is attached to adversities and afflictions as a suckling child is to his mother's milk or a thirsty one longs for a fount of water. In a Tablet7 written in the words of Mírzá Áqá Ján, His amanuensis, it is stated that it is beyond man to comprehend the ways of God. For instance, Bahá'u'lláh had been to the Garden of Ridván and the Mansion, but on one occasion He said that He preferred to be in the Most Great Prison. 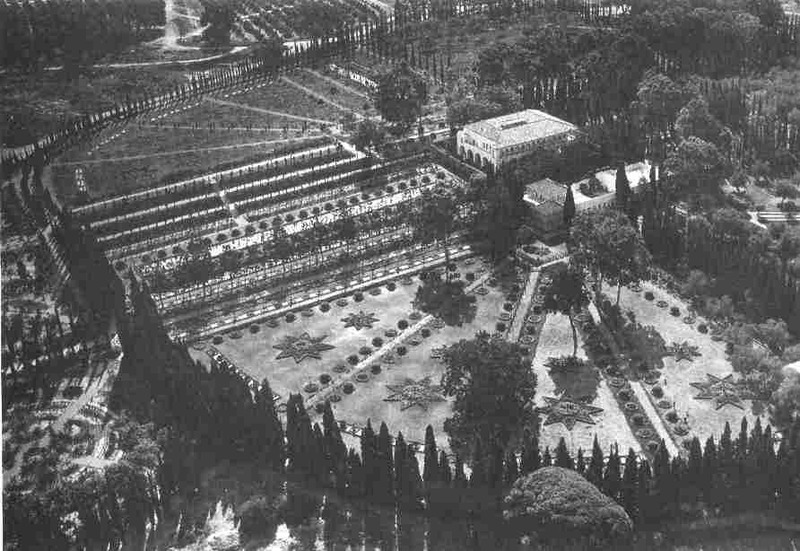 the Mansion of Bahjí, it was 'Abdu'l-Bahá who had rented the Mansion, and prepared it for Bahá'u'lláh's arrival. First, members of His household moved in. This did not include 'Abdu'l-Bahá, His mother or His sister, the Greatest Holy Leaf; these all remained in 'Akká. When all arrangements were completed Bahá'u'lláh moved to the Mansion. He left the House of 'Abbúd, passed through the Land Gate of 'Akká and arrived at Bahjí in the evening. Hájí Muhammad-Táhir-i-Málmírí, who was in 'Akká at the time, used to live in a room next to Nabíl-A'zam's in the vicinity of the Súq-i-Abyad. Their rooms were next to each other; in practice they shared both rooms. 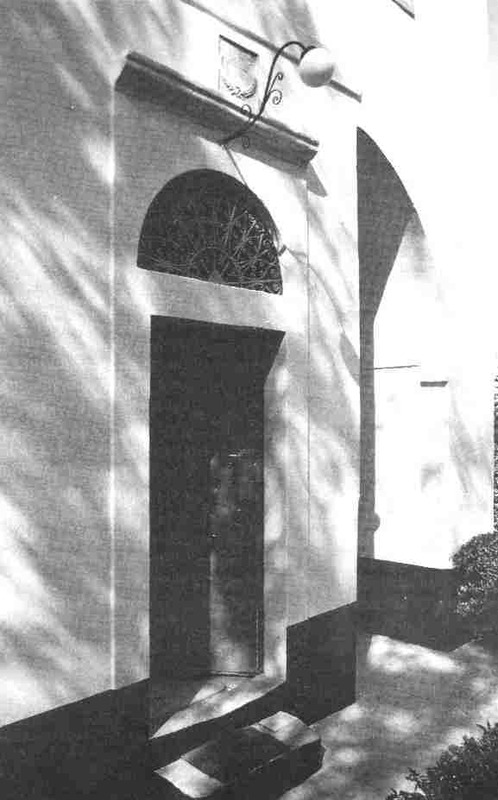 Their rooms overlooked the street through which Bahá'u'lláh passed on His way to the Mansion of Bahjí. In his memoirs Hájí Muhammad Táhir describes an amazing episode connected with Bahá'u'lláh's arrival in the Mansion. The event may be regarded as one of the highlights of his nine months' pilgrimage in the presence of the Blessed Beauty. Muhammad Táhir and Muhammad Khán-i-Balúch} had brought it with us to the Holy Land. It was presented to the Blessed Beauty by Hájí Siyyid Mírzáy-i-Afnán from Bombay. When the Blessed Perfection dismounted and went inside the Mansion, we walked toward the building in order to circumambulate. But when we came a little closer we saw to our amazement that the footpaths around the walls of the Mansion were packed with people, who were standing. Crowds had assembled around the four sides of the Mansion and we could hear their murmuring as well as their breathing. Of course we knew that no one had come from 'Akká to circumambulate the Mansion, and we two had gone there without permission. Anyhow, since there was no room to walk on the footpath we stepped back, and at a distance of about thirty steps from the Mansion we circumambulated. To do this we had to walk in some wheatfields and, as it happened, the ground had been recently watered, so we had to walk through muddy fields. As we circled the Mansion we could sense the presence of the multitude on the four sides of the building at some distance from us. In the end we prostrated ourselves on the ground opposite the Gate of the Mansion, and returned to 'Akká. On the way back heavy rain poured down on us, and just as we arrived at the gate of 'Akká, the guards were about to close it. Normally they used to close the gate every night four hours after sunset. Beauty. His poems were mainly about history, the history of Bahá'u'lláh's imprisonment, His banishment to Baghdád, Istanbul, Adrianople and 'Akká, the sufferings He had endured in the barracks, the story of the building of the Mansion by 'Údí Khammár, and 'Abdu'l-Bahá renting it to serve as a residence for the Blessed Perfection. He then described the events of the evening Bahá'u'lláh went to the Mansion, and how we both followed Him, the account of our circumambulation when we saw the souls of all the Prophets and Messengers and the Concourse on high assembled outside the Mansion, circumambulating the throne of their Lord. In these poems Nabíl described in detail our keeping vigil, his own writing poems, and my making tea. When His Blessed Person received the poems of Nabíl, He revealed a Tablet in honour of Nabíl and myself. In it He graciously accepted our pilgrimage to the Mansion, conferred upon Nabíl the title of Bulbul (Nightingale) and upon myself Bahháj (the Blissful). Circumambulation of the holy places is an act of devotion and love. It is an expression of the individual's humility, submissiveness and adoration toward the Holy Ones. It is also a sign of one's utter dependence on them. We note that the same act takes place in nature. A satellite circles around a planet and is held in orbit by the force of attraction. It originates from, and its very existence depends upon, the planet. There is a special relationship between the two: one acts as the master, the other as a servant. * For further discussion see vols. 1, 2, 3 and below, pp. 125-39. Above: local Bahá'ís and pilgrims approaching. 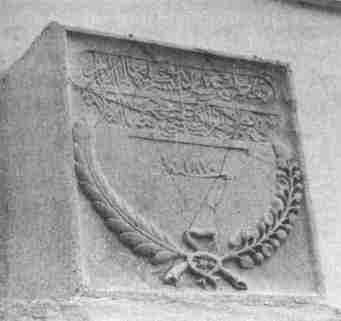 the inscription placed over the door by 'Údí Khammár (see p. 104). His Tablets, described how the souls of God's Messengers and the company of the Concourse on high circumambulated His throne of sovereignty. Of course this is not a physical circling around such as could be seen in this life. It may be regarded as one of the many mysteries which surround the Supreme Manifestation of God. The early believers who had the inestimable bounty of attaining His presence sometimes witnessed supernatural events at one time or another through His special favours, events which completely overwhelmed their souls and which they recorded in their memoirs. But these may be considered as personal experiences only; they are not valid for others. The story of Hájí Muhammad-Táhir and Nabíl falls into this category. They had the vision in which they saw the souls of the Prophets and the company of the Concourse on high circling around the Mansion at the time that Bahá'u'lláh ascended the throne of His sovereignty in that hallowed spot. But such a soul stirring experience is valid for those two privileged souls only: it can never be adduced as a conclusive proof of the station of Bahá'u'lláh. We have already discussed this subject in a previous volume:* miracles are not a proof of the authenticity of the Manifestation of God. If miracles take place, they are proof only for those who witness them. Bahá'u'lláh has explained that the proof of the sun is the sun itself; similarly, He states that the proof of the Manifestation of God is in the first place His own Self; in the second place, His Revelation; and for those who are in need of further proof, His words. * see vol. 3, pp. 37-46, and vol. 1, p. 291n. glimpses of His hidden glory and power and were awestruck at the revelation of His supreme station. The transfer of Bahá'u'lláh's residence to the Mansion of Bahjí begins a new and final chapter in His Ministry which constitutes one of the most glorious periods in His life. The King of Glory, the Supreme Manifestation of God, ascended the throne of His sovereignty, the spot which 'God hath ordained as the most sublime vision of mankind'. It was here that the majesty of Bahá'u'lláh and His grandeur were outwardly manifested to both friend and foe. And it was here that the climax of forty years of Revelation was consummated. The verses that streamed from His Pen and the Tablets which were revealed in the latter part of His life released a special potency through which the teachings and principles of His Faith were further enunciated in conjunction with the laws of the Kitáb-i-Aqdas, and through which their application to the building of His new world order became apparent. * For further information see vol. 1, chapter 3.
were privileged to come into contact with the divine spirit were magnetized by the energizing forces radiating from His Person. Each one became a new creation and returned home with a new vision and capacity enabling him to scale loftier heights of service in His path. These two sources of divine bounty--the Person of Bahá'u'lláh on the one hand and His Revelation on the other--endowed the Bahá'í community with a vigour and vitality which it had never experienced before. The many soul-stirring Tablets revealed in this period inspired and enraptured their recipients and transformed them into spiritual giants who, in turn, were able to set on fire the hearts of their fellow believers and thus create a dynamic and flourishing community in Persia. The Cause of God was then securely established in the land of its birth. The teaching exploits of some of its outstanding teachers were highly successful. The expansion of the community, in spite of much persecution, was taking place at a remarkable pace, and the pernicious influence of Mírzá Yahyá in creating dissension and doubt had been reduced to a considerable extent. Above all, the prestige of the Faith and its Author in the Holy Land had been mounting steadily towards a climax, ushering in the last and the most momentous chapter in the history of the Revelation of Bahá'u'lláh. The Revelation of Bahá'u'lláh may be likened to a tree which in the early years of His Ministry in Baghdád and Sulaymáníyyih had produced its blossoms in a magnificent display of beauty and splendour, dazzling the eyes of those enchanted lovers who were endowed with spiritual vision. They were awestruck as they gazed at its glory and became conscious of its hidden potentialities. Later, towards the end of His sojourn in Adrianople and within the citadel of 'Akká, this tree of divine Revelation yielded its choicest fruits. And now during the latter part of His Ministry when He was residing in the Mansion of Bahjí, the fruits of this exalted tree were ripening and were ultimately garnered. His Mission was coming to a climax and His Revelation reaching its consummation as His earthly life neared its close. Since its beginnings in the Síyáh-Chál of Tihrán the outpouring of the Revelation of Bahá'u'lláh had continued at different periods. This latter part of His Ministry served to crown the inestimable bounties which God had chosen to bestow upon humanity in this Dispensation. Indeed, everything which needed to be revealed by God for humanity in this age has been revealed. In a Tablet in honour of His Trustee, Hájí Abu'l-Hasan-i-Amín,8* Bahá'u'lláh states that the bounty of God has so encompassed the peoples of the world that the meanings and the inner meanings of every word, every statement and every mystery revealed by Him, have been divulged in this day. * For a brief account of His life and services see vol. 3, pp. 75-86. † For further discussion see vol. 2, pp. 353-4, and vol. 3, pp. 277-80.